When will be Bailtean Fraoich next episode air date? Is Bailtean Fraoich renewed or cancelled? Where to countdown Bailtean Fraoich air dates? Is Bailtean Fraoich worth watching? Heather Dewar visits some of Scotland's most picturesque and remote coastal communites. Islay-born Heather Dewar visits some of Scotland's most picturesque and remote coastal communities. Travelling through mainland villages, Hebridean communities and vast peninsulas, she realises that it's not necessary to live on an island to experience the life of an islander. 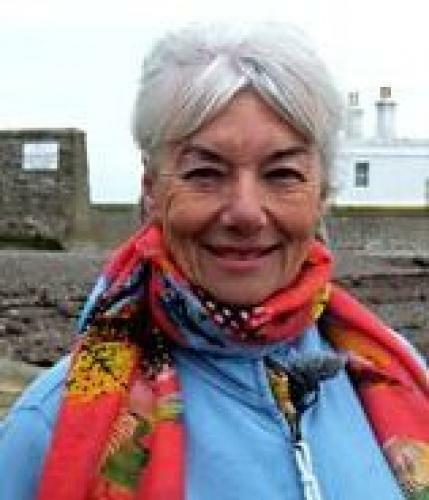 In this programme she explores the Bays of Harris. Heather meets crofter and seaman Bannatyne MacLeod, who tells her about the challenges of working the rocky terrain of this district on the east side of the island. With Donald MacDonald, she visits the beautiful village of Manish. Donald has fond memories of growing up there but explains to Heather why in 1937 his family, along with many others, took the decision to move to the more fertile west side of the island. Hamish Taylor once operated sea tours along the east coast of the island. He comes out of retirement to take Heather to one of his favourite spots - Geodha an Sgadain - where there's a spectacular and dramatic sea cave. Bailtean Fraoich next episode air date provides TVMaze for you. EpisoDate.com is your TV show guide to Countdown Bailtean Fraoich Episode Air Dates and to stay in touch with Bailtean Fraoich next episode Air Date and your others favorite TV Shows. Add the shows you like to a "Watchlist" and let the site take it from there.